The hamlet of LaCorey is located 12 miles north of Bonnyville on Highway 41 and 25 miles west of Cold lake on Highway 55. The Hamlet is a busy location with all the traffic to and from the oil patch located north of La Corey. This cute and cozy cabin is completely self contained with its one furnace, hot water tank and comes completely furnished. The utilities provided are power, heat, water and WIFI internet. There is outside parking with plug-ins. There is also a laundry facilities next door. This can be rented on either a short or long term basis. Weekly housekeeping is available if required. 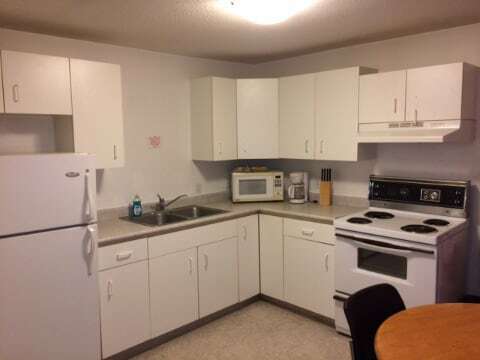 For more information and to rent this large 3 bedroom suite please call 780-826-3336.